I would like to turn this image into just a simple black outline. 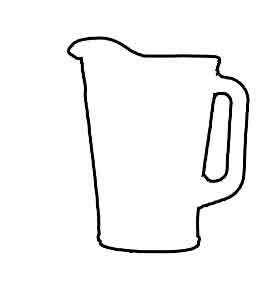 Like this simple hand drawn example below, but more precise. Holding shift down click inside handle, to add to the existing selection. Done. Your values may be different as scale might change things. 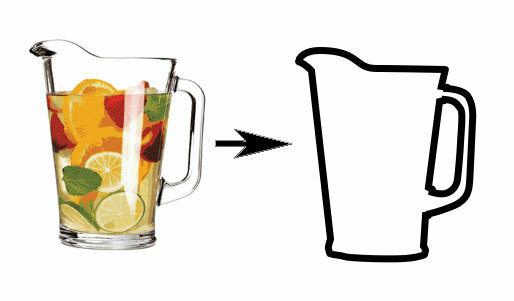 Image 1: Results of steps. PS: you can also turn the selection into paths. 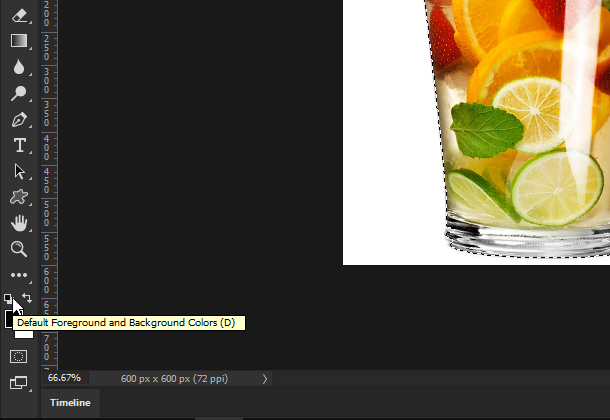 That may be marginally better for low res images as it smooths edges. Image 2: Instead of fill, the selection was turned to path with 1,5 px fidelity and then stroked with a brush. 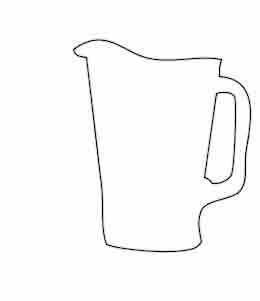 Grab the Pen Tool and manually draw two paths - one around the bulk of the pitcher, ignoring the handle, then one around the handle. 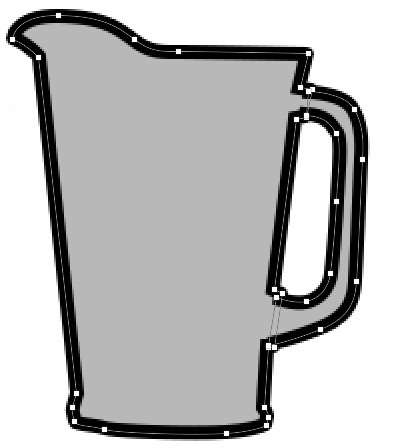 Then combine the vector/shape layers for the shapes into one layer. 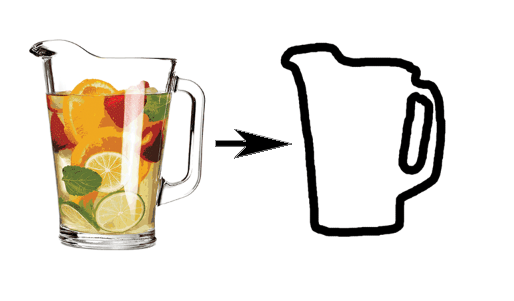 Add a stroke if a vector layer, or add a stroke via Layer Styles. 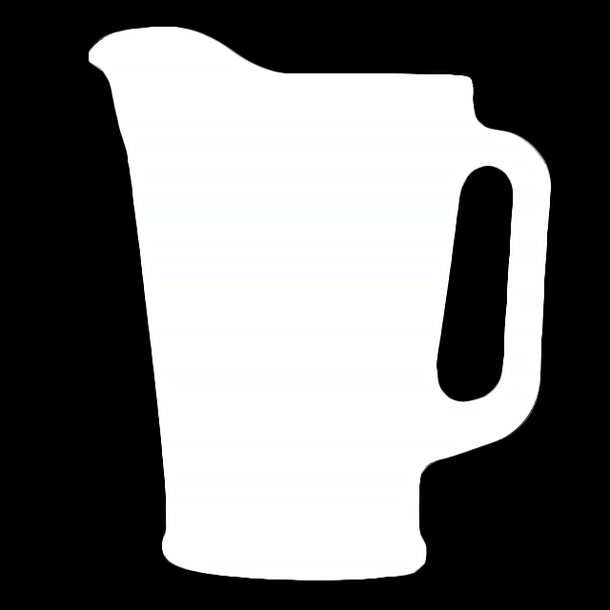 The boundaries of the water pitcher are a little too close to the edge of the canvas for this effect, so go to Image > Canvas Size, check 'Relative' and add 40px to the width and height values. 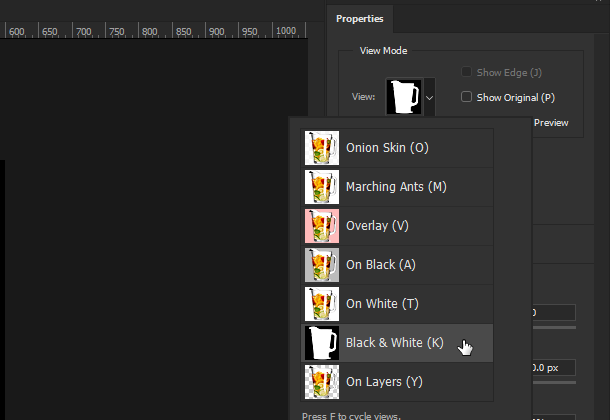 Go to Filter > Filter Gallery and under 'Sketch' choose 'Stamp' and crank up the 'Smoothness' slider until the edge is looking – well, smoother... then add another filter (by clicking the 'New Effect Layer' button at bottom-right of the Filter Gallery dialog) and choose 'Photocopy'. Not the answer you're looking for? 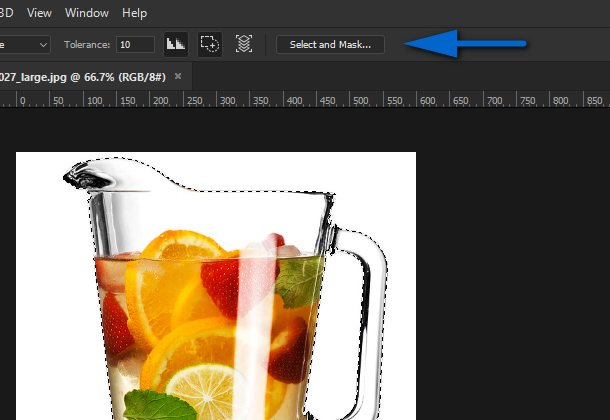 Browse other questions tagged adobe-photoshop image-trace or ask your own question. How can I easily produce “Balsamiq style” wireframe mockups in Photoshop? 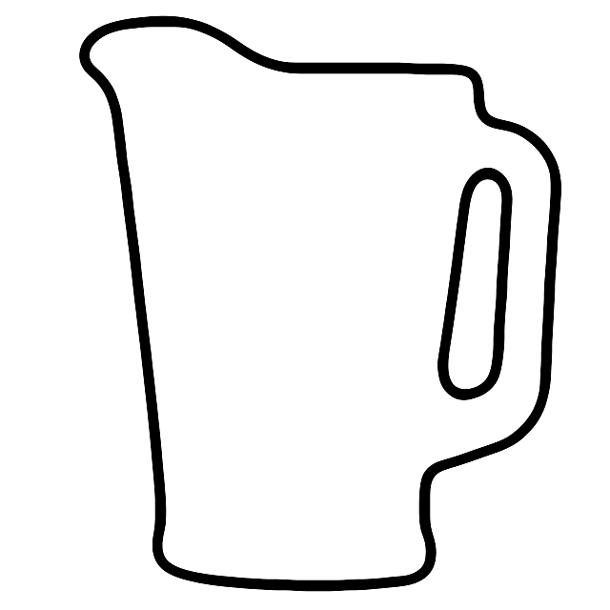 How do I create an outline around a raster image? How to add an outline to a layer that acts as a mask?